November 2010 | MMA Fighting Events Videos Techniques UFC Fight Picks and News. If you have an MMA fan or MMA practitioner on your Christmas list, knowing that they're a fan of MMA, or that it's their hobby, will help you get them a gift they'll truly appreciate. 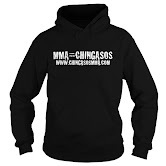 Here are five great gift ideas that any MMA fan would enjoy and appreciate. 1. MMA/Grappling Shorts : When I first began training in submission grappling I used regular shorts. They would get soaked with sweat, slip off, and were generally uncomfortable to train in. Once I got my first pair of Tapout shorts( a gift by the way), I was amazed at the difference and would much rather not go back to using regular shorts. You can never have enough, so they make a great gift. 2. Compression Shirt/Rash Guard : These shirts wick away sweat, survive the wear and tear of training, and help prevent training rashes. All good things if you plan on MMA being a hobby for a while. And just like the shorts, you can never have enough, and it's always good to have a clean one ready to go. 3. Hoodies : You can't go wrong with hoodies. Whether you train in MMA or not. They're comfortable, keep you warm and are durable. Get them a Tapout hoodie and show them you know they're a fan of MMA. 4. MMA Instructionals : It doesn't matter how much you think you know, you can always learn a bit more. It's also good to sharpen up you skills by looking at the basics from another point of view. Any MMA practitioner knows this, and is always looking for a new tip or piece of knowledge that will improve their game. 5. MMA/UFC Fight Videos : Whether someone is an MMA fan or a fan of another sport, it's always fun to watch the greatest moments in that sport. The UFC has put a nice collection together that any MMA fan would love to have. 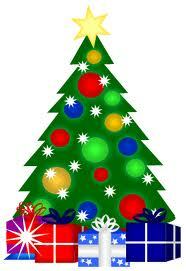 By the way, feel free to send any of these gifts my way. UFC 123 was all about redemption. The fighters in the main event and in the co-main event have all been champions but they are all fighting to get back to the top. This event, UFC 123, was an opportunity for Quinton Rampage Jackson, Lyoto Machida, BJ Penn, and Matt Hughes to prove to the MMA world that they are still relevant, that they can still win. In the main event, Machida started by throwing a few kicks. However, as is usually expected in a Machida fight, the first round was mainly uneventful. For the majority of the round, Jackson stalked Machida or had him pinned against the fence. Jackson threw punches to get to the clinch and was able to catch Machida on the way out. Again, the second round had a slow beginning, but Rampage was able to take Machida down. Jackson did not completely establish position and Machida was able to get back up. Machida connected with jumping knees to Jackson’s mid section. However, Jackson was able to connect with his hands. At the end of the round, Jackson fell to the mat, but it was only a slip. In the third round, Machida was finally able to catch Jackson with a chingaso and stunned him. He kept throwing punches as he backed down Jackson. Jackson fired back and caught Machida with a couple of chingasos of his own. Machida had enough of the exchange, clinched with Jackson, and got the takedown. As the two fighters were on the ground, Machida worked for a kimura from half guard. He did not get it, but he was able to pass and ended up in the mount. It took work, but Jackson was able to escape the mount. The two men ended up on the ground again and Machida went for an armbar. In a move reminiscent of his days in Pride, Jackson started to pick up Machida. Not wanting to end up being slammed, Machida let go. Jackson won a split decision. This was a quick one. Penn threw a straight right, put Hughes on the mat, and finished with chingasos on the ground. These two had an extended feeling out process. Finally, Falcao attacked and put Harris on the mat. Falcao went for a rear naked choke to end the round, but Harris was able to defend. The second round looked a lot like the first with Falcao putting Harris on the mat, taking his back, working for the submission, and Harris being able to escape. The final round was one of the worst in UFC history with neither fighter doing anything. Falcao won the unanimous decision. Both men came out slowly, feeling each other out. However, Davis clearly had the better wrestling. He was able to get takedowns and control Boetsch against the fence whenever he wanted. In the second round, Davis had Boetsch pinned against the fence before finally taking him down. Davis finished the fight with a one-arm kimura. These two fighters did not disappoint with their opening exchanges, as both men came out throwing chingasos. Sotiropoulos was clearly the superior grappler, however. Lauzon was looking to sprawl and brawl while Sotiropoulos just wanted to get the fight to the ground. Lauzon was able to sprawl and stuff many of the takedown attempts. He was also able to escape the submission attempts by Sotiropoulos. However, Lauzon finally had to tap to a kimura. These two men came out to put on a show. They both threw chingasos and both had submission attempts. Brown got a tight armbar on Foster, but Foster was able to escape. Foster caught Brown with a guillotine. Brown was not able to escape and had to tap out. As often happens when two wrestlers fight each other, both men came out throwing chingasos. Simpson started out strong, coming after Muñoz and was the aggressor throughout round one. However, Muñoz did get the better of the exchanges throughout the fight. Muñoz threw leg kicks that Simpson would catch, but they were landing, nonetheless. The fighters bumped heads, but it was Muñoz that was cut in the forehead. Muñoz caught Simpson with a head kick and an elbow, and he was also able catch Simpson with some ground and pound. Parisyan clinched up with Hallman and drove him against the fence. The action stalled and the referee broke it up. Hallman threw a right hand chingaso that put Parisyan on the mat. Hallman followed Parisyan to the ground and threw hammer fists until the referee stopped the fight. Barboza got leg strike after leg strike in this fight. Lullo did not check the kicks and they began to take their toll. In the third round, Lullo crumpled to the ground again after a leg strike from Barboza. The referee stopped the fight. Lentz won by split decision. For the casual MMA fan, UFC 122 pretty much flew under the radar, mostly due to the lackluster fight card. Fortunately for all MMA fans, UFC 123 comes back strong with a top-notch card that is headlined by Quinton "Rampage" Jackson facing off against Lyoto Machida and the rubber match of the BJ Penn vs. Matt Hughes trilogy. While Rampage, Machida, BJ Penn and Matt Hughes are the big names on the UFC 123 fight card, I am looking forward to seeing whether Mark Munoz will continue his rise in the 185 lbs division and seeing how Karo Parisyan will do in his return to the UFC. What will happen when these two former champs trade chingasos?